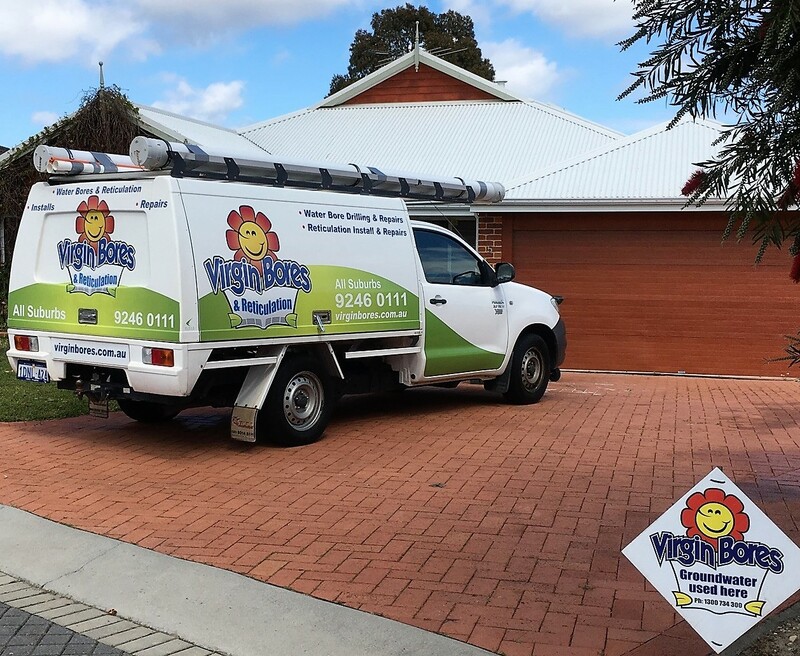 A very common call to our water bore Perth service hotline is along the lines of “my pump runs but no water” or “my bore runs but no water”. Firstly, before anything, our advice is always to turn it off so the pump is not running. Turn the reticulation controller OFF and if there is a bore over-ride switch turn that OFF as well. 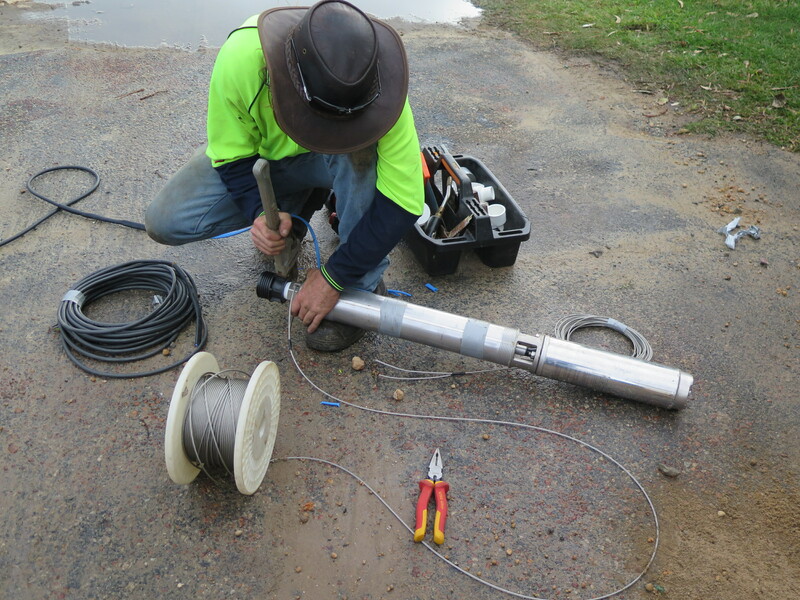 In newer Perth bore pump installations there should be a circuit breaker in the meter box labeled “bore” or “pump”. Turn that OFF. In older Perth bores it may be a fuse instead. In some installations it may even be labeled reticulation. 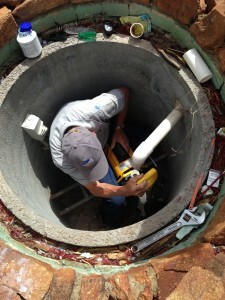 No bore pump should run without water or consequential damage may result. There are many possible causes. As Perth bore pumps are generally of two main types we shall deal with these separately. the rising main or poly pipe that delivers the water to the surface has a hole in it or has become detached from the wet-end. Commonly this is as a result of pump dead-heading where the pump has been run against a closed head with nowhere for the water to go. 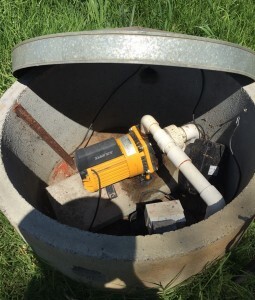 the pump is actually delivering water to the surface but the reticulation system solenoid valves are not opening or a gate valve is manually shut. 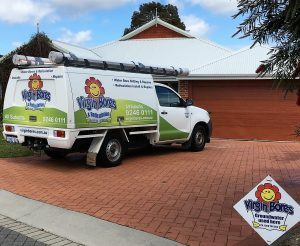 There are other less common causes that we occasionally encounter that cause water bores Perth and surrounds to run with no water. 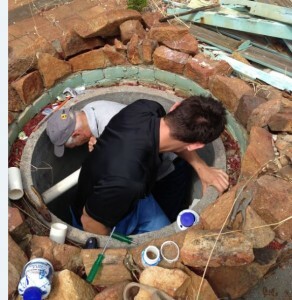 Tight working fixing old well. Call our Perth Bore Service Perth Hotline on 1300 734 300 and we would love to help. the water inlet is obstructed. Whatever the reason, please disable your automatic reticulation controller and turn everything off so the bore pump motor no longer runs without water as consequential damage may occur. Call our Bore Pump Service Perth Hotline on 1300 734 300 and we will be happy to help.